The overall grade for the R train “Rider Report Card” grade is in & as usual we get another C-. However this grade was way too generous if you asked me. I am pretty sure there are a good number of others who would agree. Lets get straight to the breakdown before I offer my analysis. As I said, this grade was way too generous. While I feel the 7.821 riders accurately ordered the 3 top priorities, I feel they were generous in their grades. In my honest opinion, the R deserved a big fat F in the top 3 priority categories. While the D+ earned for “Reasonable wait times for trains” was close to a F, it failed to earn the grade it deserves. 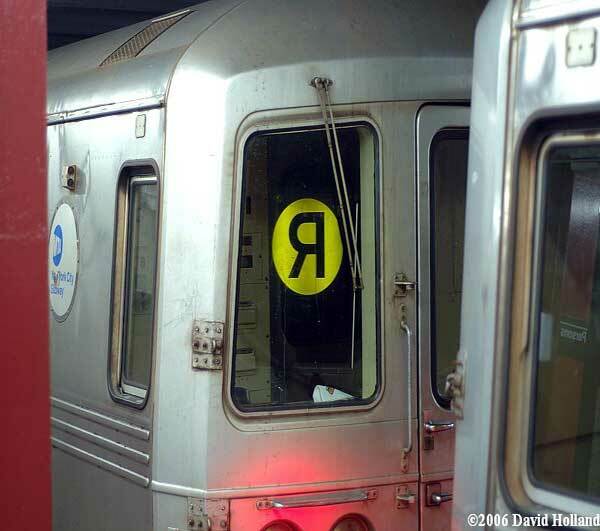 There is a good reason why many transit buffs & riders say the R stands for “rarely” as that describes the R train to a tee! I have spent many times riding the R all over its long route between Forest Hills/71st Avenue & Bay Ridge/95 Street. Every time I have ridden that line with the exception of one time, I was waiting for at least 10 minutes for a R to arrive. The lone time was that infamous Saturday when I went to go see my friends The Pervs play at Matchless in Greenpoint. I shall refer to that commute as “The Miracle On Pervs St.” from now on! On that night, the longest wait I had on my 3 train ride was 5 minutes. As one would guess, the longest wait was for the R train! The R is a line that is slow as molasses & unfortunately for the riders who depend on it, this is a feeling they are definitely used to dealing with. I feel the biggest problem that leads to delays on the R is the fact it shares trackage on just about every part of its long route between Forest Hills/71st Avenue & Bay Ridge/95 Street. The only part of the line where it can spread its wings is between the 59th Street & Bay Ridge/95th Street stations. Unfortunately by time the R gets to that portion of the line, it has usually been delayed beyond belief. This is what happens when you share trackage with the , , , & at some point along your route. The “adequate room on board at rush hour” issue which seems to have order inconsistencies based on the information the MTA posted on their site clearly stems from the delays & wait times I just described. Many straphangers have the mentality that the train they see is the last one that will ever come so they must squeeze on even when there is no room for them. Now take that mentality & couple it with the typical performance of the R train & you can clearly understand why the line does not have “adequate room on board at rush hour”. Realistically speaking the major issues the R faces are ones that do not have an easy fix. There is no band-aid solution for the R’s problems. You have a line trapped on trackage that is quite full to begin with coupled with being susceptible to any little delay on a few select lines & this is what you get! Unless additional trackage magically becomes available, look for the R to continue to under perform in the most important categories.